Burgers and tacos coming to Snellville. Cook Out and Taco Bell plan to open new locations in Snellville later this year. The two restaurants will be built side by side at the southwest corner of Scenic Highway and Dogwood Road. The property currently has a two-story former Branch Bank location. Built in 1990, the bank closed in 2013. 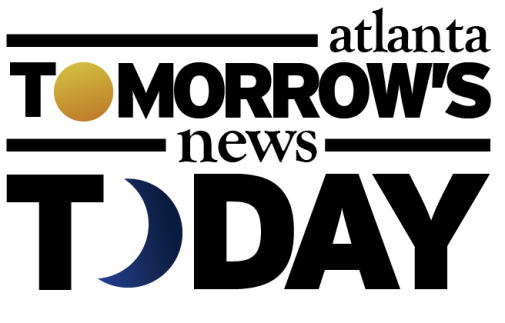 Charlotte based Morgan Property Group, LLC will develop the 1.74 acre parcel. 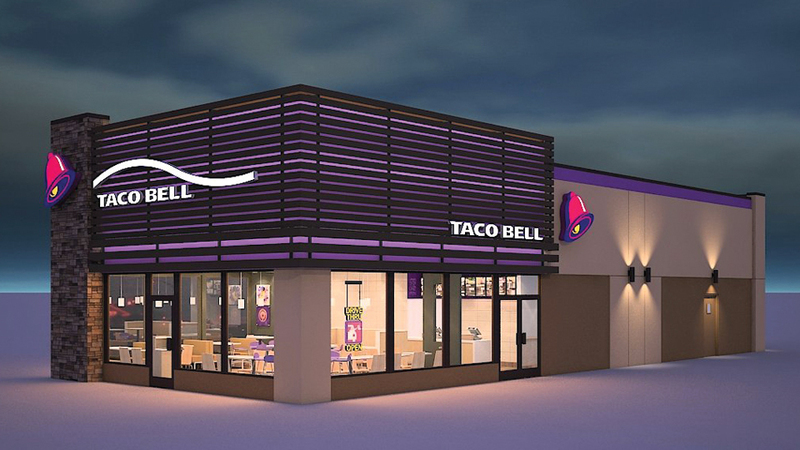 The project will include a 2,852 square foot building with drive-thru for Cookout, and a 2,132 square foot building with drive-thru for Taco Bell. North Carolina based Cook Out has been aggressive in expanding their Atlanta presence since entering the market in 2013. The Snellville location will be the chain's 24th in the Peach State and may very well be only the beginning of their 2016 expansion. Other new locations are already under construction in Marietta and Tucker. Taco Bell, a division of Louisville, Kentucky based Yum!  Brands, has also been expanding in metro Atlanta and surrounding communities. A next generation, freestanding Taco Bell opened last year on Peachtree Parkway in Peachtree Parkway Plaza. An "inline" Taco Bell is planned for University House, a new student housing project on Spring Street in midtown. In Monroe, a 80s/90s era Taco Bell was demolished and completely rebuilt. The restaurant reopened December 26th after being demolished in August. These moves are part of a larger strategy to add 2,000 new and renovated restaurants in the next 10 years. Are you excited about the planned restaurant openings in Snellville? What else would you like to see open in Snellville? Where would you like to see Cook Out or Taco Bell open next? 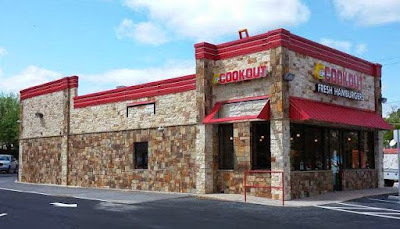 Even though I’m not a big burger person I am excited to see Cookout expanding. As for Taco Bell I suppose someone eats there, but it’s not a place I would visit. If I want Mexican food in Atlanta there are literally dozens of restaurants offering better food, an improved dining experience and a better value. Pollo Tropical in Snellville is already serving customers and has been for several days now. The new taco bell store is sooo tiny. Not that it makes a big difference but it is crazy to go into the one on Peachtree Parkway and then go to the gigantic old ones that still exist on Roswell Rd in Sandy Springs and other places. Side note... the YouFit that kind of spurred re-development at Peachtree Parkway Plaza where Taco Bell built closes today with only 36 hours notice to its members. The center was dilapidated and nearly abandoned before they came. They spent a lot of money renovating this space to abandon it in just two years. 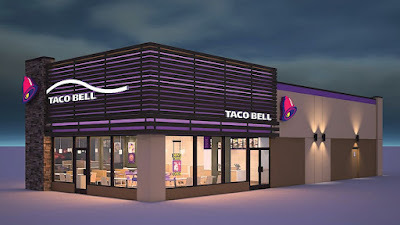 There are already two older Taco Bell locations close by on Main St (US 78), and another at the corner of Five Forks Trickum and Dogwood. I have lived in this area 15 years and have never eaten at either exiting Taco Bell. Will these older locations shut down? Glad that this corner is being redeveloped. Not a huge fan of Cookout anymore. IMO the quality has gone downhill with expansion. Having lived in NC I can honestly say the food is not nearly as good as when they first started out. Cookout will do fine in Snellville. My guess is that only the Taco Bell on Main Street will close. The location at Five Forks is much further from here than the Main Street location. If you recall there was once a Wendy's on Main Street next to Taco Bell that also moved to Scenic Highway. The Zaxby's on Main Street will also be moving to Scenic Highway in late 2016 at the new development at the corner of Scenic Highway and Pharrs Road. My guess is that any other remaining fast food chain on Main Street that isn't located at a median break will also soon be relocating to Scenic Highway or closing altogether. The median that was installed a decade ago likely saved a few lives but also drastically reduced business for any restaurant or retailer not located directly adjacent to a median break. I thought it was me, but COOKOUT quality has went down the drain since entering the ATL. I have to say the COOKOUTS in Augusta and Charleston tasted way better than the ones here on Panola Rd and Moreland Ave.
Scenic Hwy/138 in Snellville is becoming the place to be for retail and restaurants. Traffic is already a nightmare. Hwy 78 was once the place to be especially the Stone Mountain area where Super Target, Best Buy, TJMaxx, Media Play and Linens & Things once were located.